A California woman appeared in federal court in Boston Monday to face allegations that she and her husband paid more than $600,000 — including $250,000 in Facebook stock — to help their daughters gain admission to UCLA and the University of Southern California with fake sports credentials and test scores. 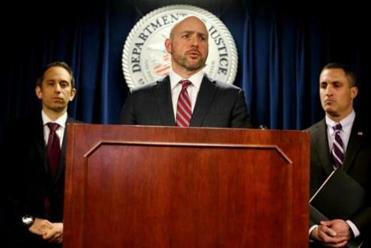 Davina Isackson, 55, and, Bruce Isackson, 61, are among dozens of wealthy parents alleged to have paid William “Rick” Singer huge sums as part of a nationwide scheme to funnel bribes to corrupt coaches and officials at selective colleges. The Isacksons, both of Hillsborough, Calif., are charged with conspiracy to commit mail fraud and conspiracy to commit honest services mail fraud. Each faces 20 years in federal prison, if convicted. Standing before Judge Jennifer C. Boal, Davina Isackson did not address the charges, or enter a plea. She was released on $1 million bond and ordered to surrender her passport and avoid discussing the case with family members unless an attorney is present. She and her two attorneys declined to speak to reporters as they walked briskly out of the courtroom. Bruce Isackson, the president of a real estate development firm in Woodside, Calif., was not in court. He is due to appear in court in Boston next week. Prosecutors say the Isacksons’ oldest daughter was accepted to UCLA in 2016 after Singer created a fake profile for her as a soccer recruit. Soon after, Davina Isackson e-mailed Singer to thank him “from the bottom of my heart and soul for your persistence, creativity and commitment towards helping [our daughter],” a federal affidavit says. A month later, in July 2016, one of the Singers allegedly transferred 2,150 shares of Facebook stock worth about $251,249 to the Key Worldwide Foundation, the nonprofit that Singer used to funnel bribes to college coaches. In 2017, the Isacksons’ younger daughter allegedly took the ACT test at the West Hollywood Test Center, where Singer was bribing the test administrator, according to prosecutors. She received a 31 out of a possible 36 on the exam. That same month, Bruce Isackson transferred unspecified stock valued at approximately $101,272 to Singer’s foundation, the affidavit says. Prosecutors say Singer also promoted the Isacksons’ younger daughter as a rowing recruit, even though she was an avid equestrian, and not a competitive rower. The profile Singer create for her contained fake rowing awards and described her as the “Varsity 8 Stroke,” or lead rower in the varsity boat, for the Redwood Scullers, the affidavit says. 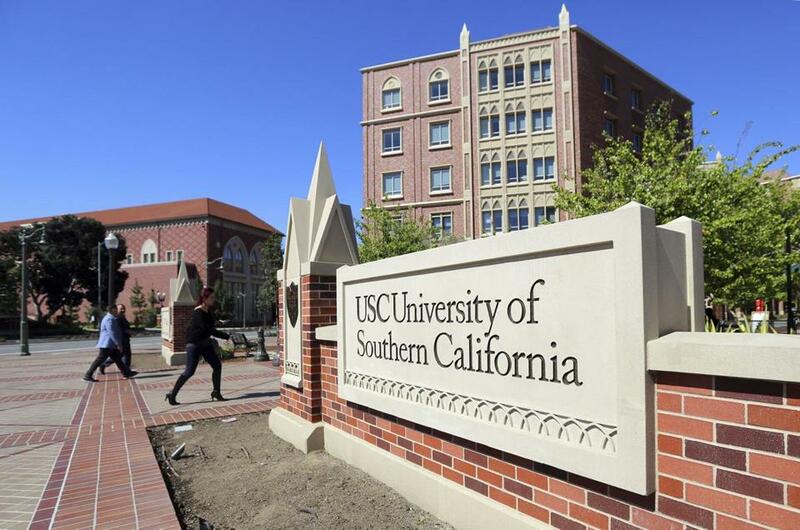 After the younger daughter was accepted to USC in April 2018, Bruce Isackson sent more shares of an unspecified stock, valued at nearly $250,000, to Singer’s foundation, federal prosecutors say. Four months later, in August 2018, Davina Isackson spoke with Singer about “engaging in the college entrance exam cheating scheme” for their third child, the affidavit said. By this point, however, Singer was cooperating with federal authorities, who were directing his actions and recording his phone calls with parents. In one recorded conversation at the Isacksons’ home in December 2018, Singer told Bruce Isackson that his foundation was being audited. Bruce Isackson said when he heard that news, “my stomach, like, kind of fell out,” according to a transcript of the conversation. Isackson said he was worried that federal prosecutors might be listening to their conversations. Isackson said he dreaded what might happen if the alleged scheme were to hit the press. Michael Levenson can be reached at mlevenson@globe.com. Follow him on Twitter @mlevenson. Travis Andersen can be reached at travis.andersen@globe.com. Follow him on Twitter @TAGlobe.